Most of the products we like to experience for the best interest of our readers are products with one or two useful purposes. Today we are excited to share a product that not only has one, nor two, but three uses! This product you can eat it, wear it, and swear by it! You can put this product in your hair, on your face, on your legs, eat it for dinner, and even rub it on your cuticle beds! Have you already guess what it is? It’s coconut oil! Coconut Oil from Vita Coco to be exact. Now it’s all starting to make sense. Trust us people, the coconut oil hype is so real. This Coconut Oil can do no harm as all it is is edible oil extracted from the meat of mature coconuts. Do you ever eat or dance while you are getting ready for a night out? We like to do both, too! 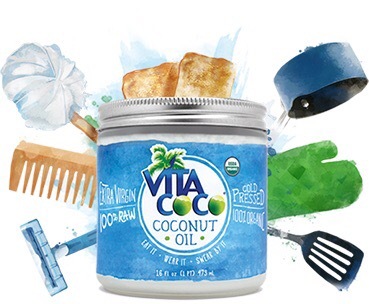 The Coconut Oil from Vita Coco can be used in your baking and cooking sessions whether you like to make heart-shaped cookies, rainbow cakes, or even natural fruit smoothies! Even so while doing your makeup for your festivities, you can coco-pull! 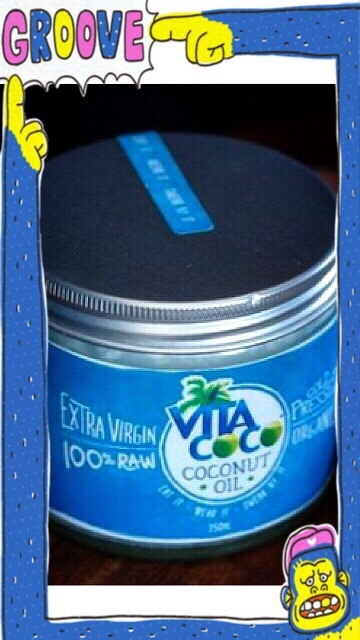 Swish some of the Vita Coco Coconut Oil around in your mouth to freshen your breath, clean your teeth, rid of bacteria, and clean your gums. If you are unfamiliar with using coconut oil in the edible sense, we first hand tried it and our smiles went from mediocre to beautifully healthy. Check out how to Achieve A Beautiful Smile and Healthy Gums With Kismet. 10-20 minutes is all it took to work and make a huge difference. If your hair has been dry and brittle, put coconut oil in it. If your skin is dehydrated, put coconut oil on it. If your cuticle beds are growing and need to be soften before removal, rub coconut oil on it! Rub coconut oil over your entire body if it needs it, coconut oil can do no harm! If opened and not used right away, Vita Coco suggests refrigerating and consuming within the next 24-48 hours. This Oil can be put on the skin, working to rejuvenate dry patches and oily skin. If you like to wear a face full of beauty products, flawless skin makes all the difference, and this Coconut Oil can give you just that! Using this Coconut Oil is not just applying it or eating it, half of the works is believing that it actually works, because it does! Share your new Coconut Oil uses with friends and family to have the people you care about benefit from it, too! You can even have a girl’s glam sleepover and apply Coconut Oil face masks! Our Mytopface Expert’s hair went back to feeling smooth, skin back to feeling baby soft, and teeth to now being pearly white! 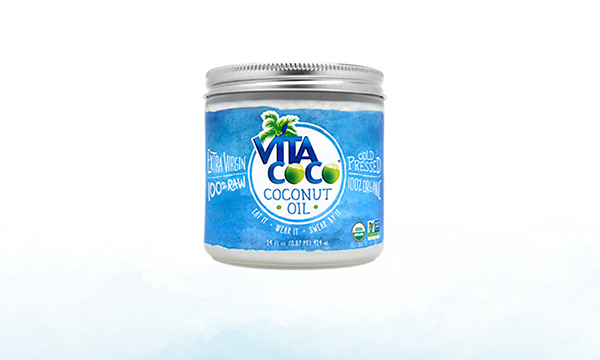 This extra virgin, 100% raw, 100% natural, gluten-free, kosher, and vegan Coconut Oil can benefit every skin and hair type, leaving it feeling smooth, rejuvenated, and refreshed!